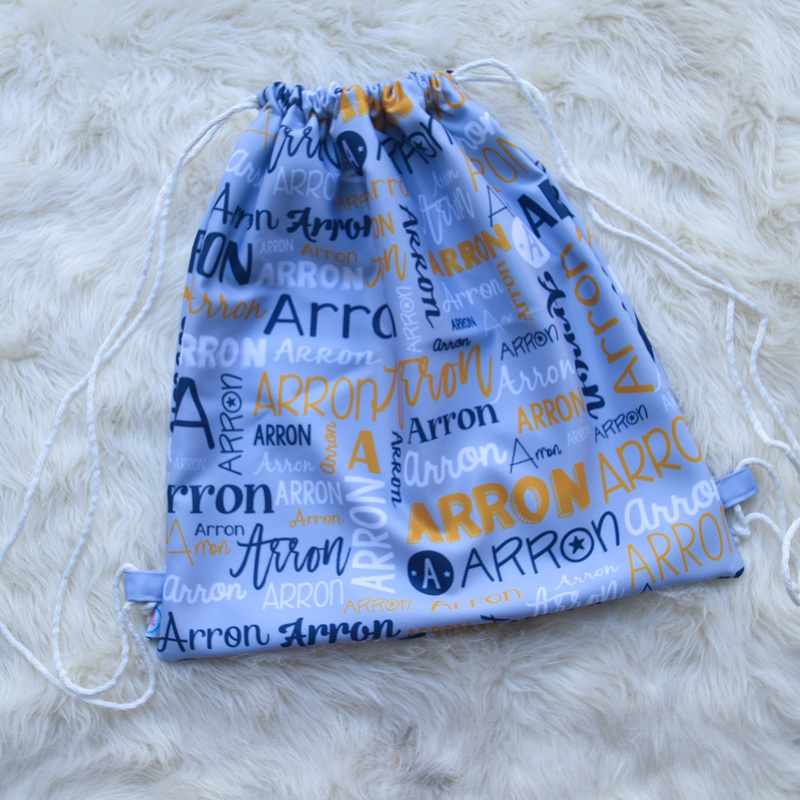 Personalised drawstring bags with their names printed all over them - there will never be any mix ups on who it belongs to again! 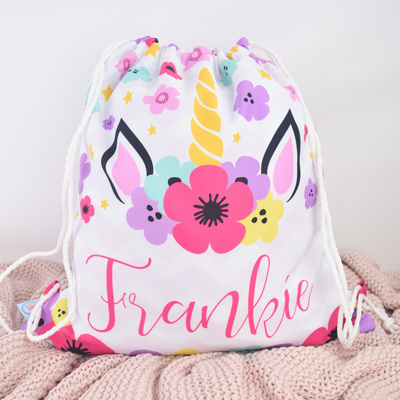 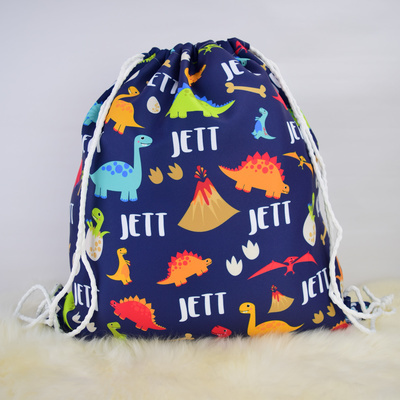 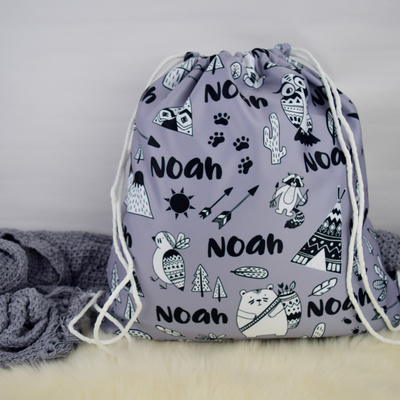 Drawstring bags are so versatile and can be used in so many different ways including school library bags, sleepover bags, toy bags, and to carry all their essentilal "stuff" in! 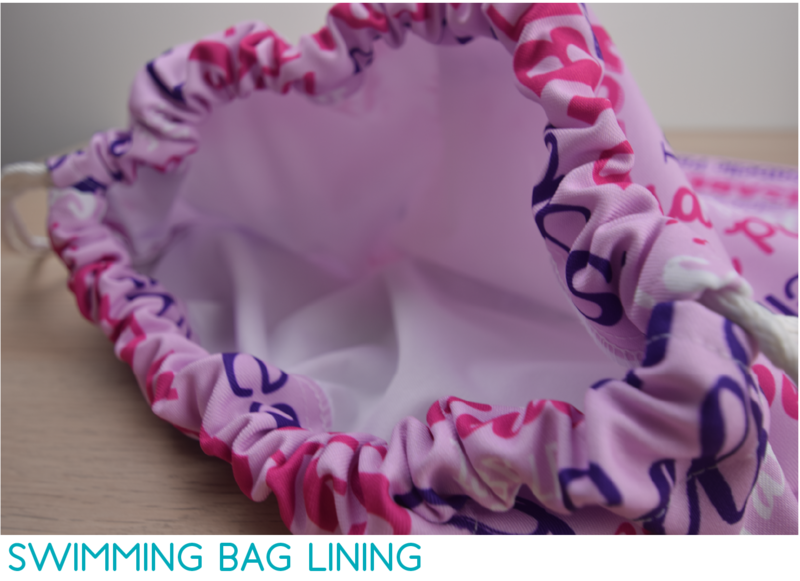 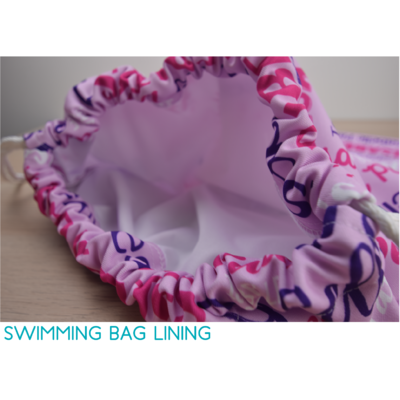 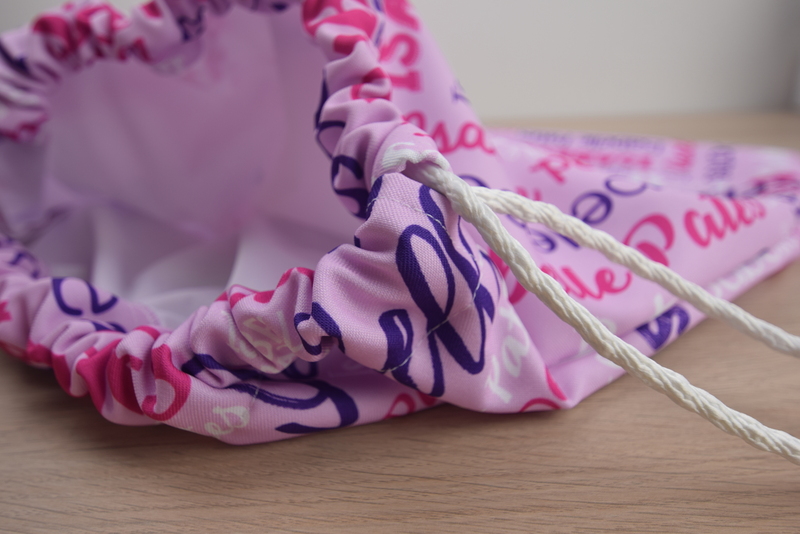 We can also add a lining to make them water resistant swimming bags to take to swimming lessons, the pool or beach. 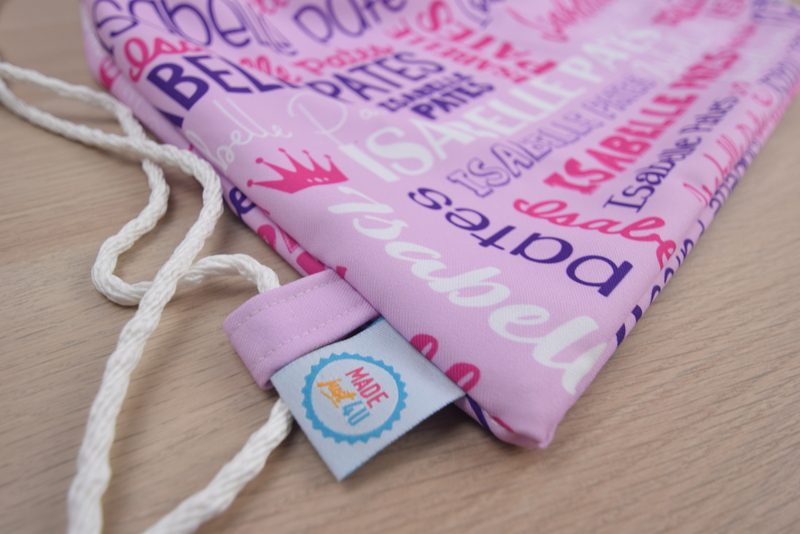 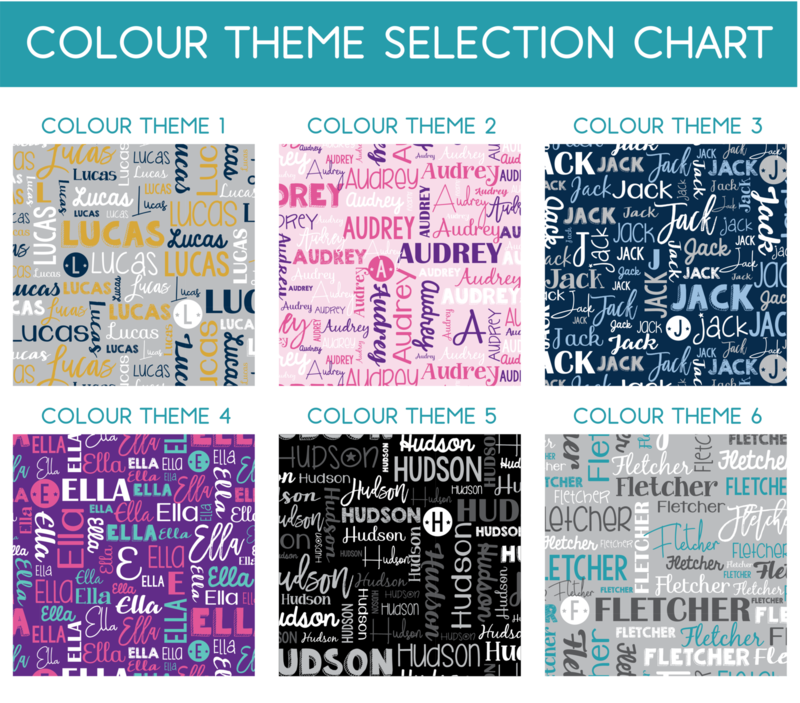 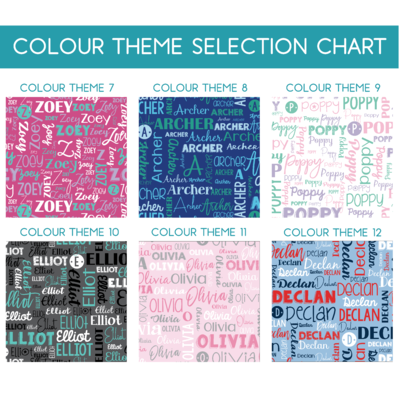 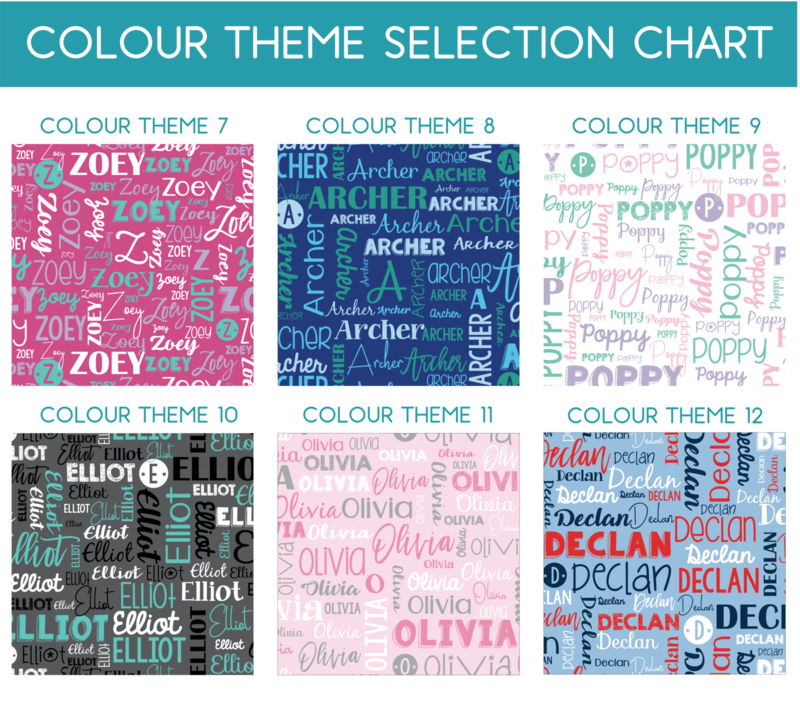 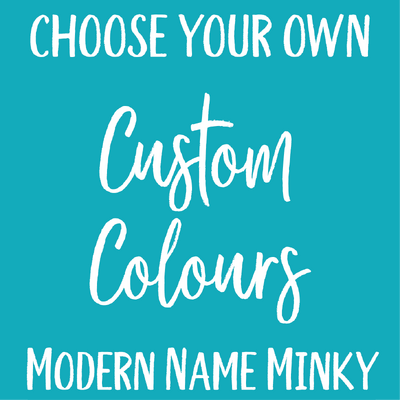 Our custom made bags are handmade to order and are personalised with your chosen name and colour theme. 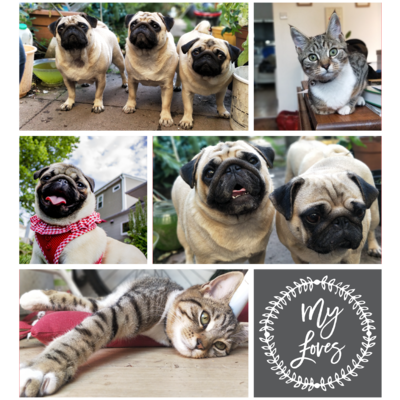 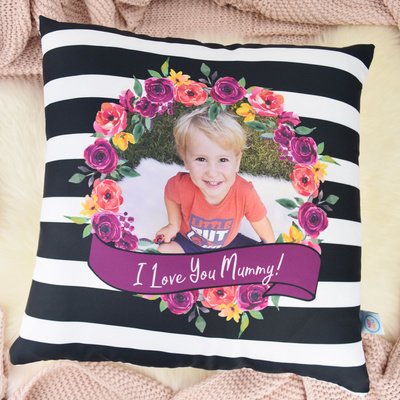 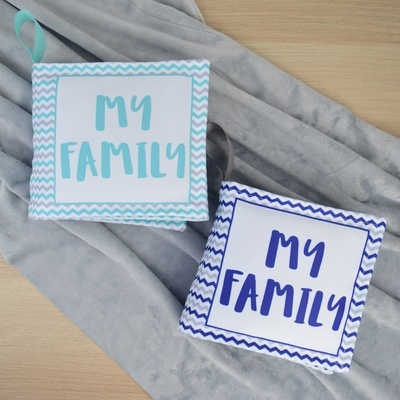 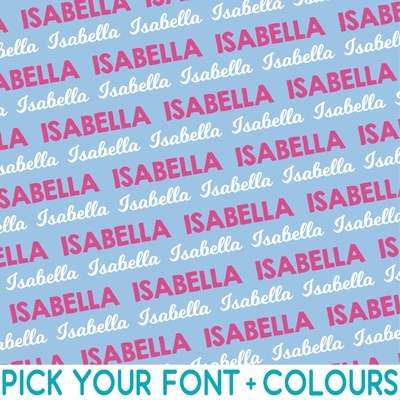 ​They make lovely personalised gifts for Birthdays and Christmas. 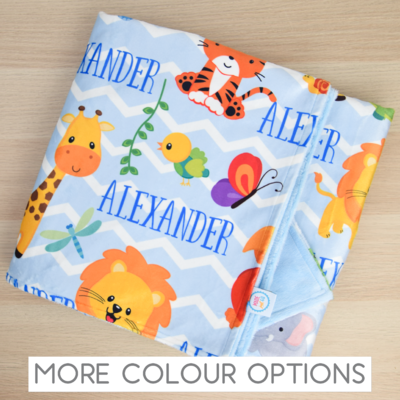 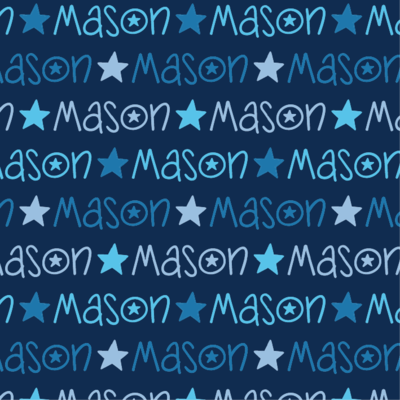 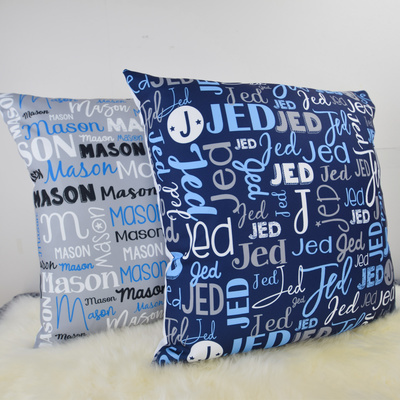 We have coordinating blankets and cushions available in this design also! 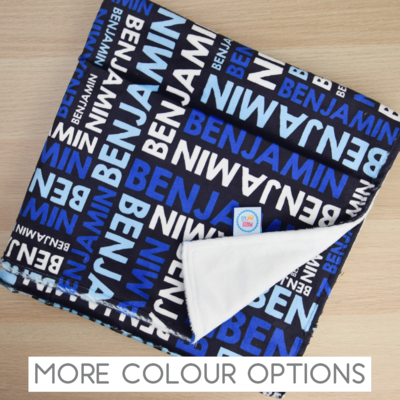 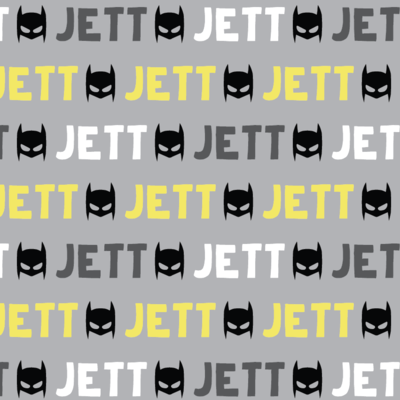 Fabric is printed with water based inks that will no stretch, crack or warp.